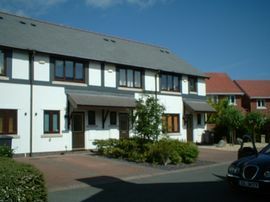 Tardys, with 2 bedrooms and 1.5 bathrooms, is located in a quiet cul de sac on the wonderful Conwy Marina in North Wales. Walking distance of Conwy (Caernarvonshire) Golf Club (voted Welsh Club 2007), sandy beaches and the Marina Restaurant. 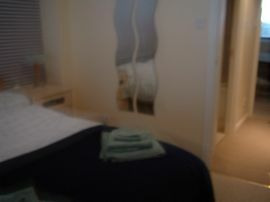 The cottage is furnished and equipped to a very high standard with Free Wi-Fi and sleeps 4 comfortably. 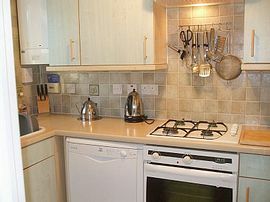 Downstairs cloakroom, WC; kitchen with dishwasher, washer-dryer, fridge-freezer, microwave, hob-oven. Sitting room with free Wi-Fi, Freeview TV, DVD, CD; dining area; enclosed patio area not directly overlooked, with outdoor furniture. 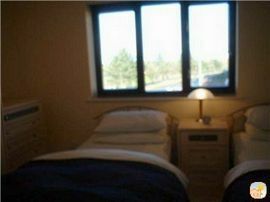 Upstairs are two double bedrooms, one double and one twin (with golf course views) and bathroom with shower. Private off road parking directly outside. Sorry no smokers. Conwy is the gateway to Snowdonia, where there is something for everyone within easy reach - mountains, wonderful walks, beaches, castles, slate mines, golf and railways. Walking distance of sandy beaches. We welcome guests in wheelchairs. Dogs welcome and dog friendly beach nearby. Enclosed patio area with outdoor furniture. From the A55 exit at Junction 17. Llandudno Junction (5 minutes) Taxi office on site. 2 minute walk from the cottage. 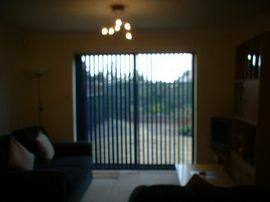 From £250.00 to £625.00 per week inclusive. Short breaks (minimum 3 nights) between October to Easter x school holidays.